The NDB and VOR IAPs recommended for cancellation would be selected at airports using the following criteria. It must be noted that all airports that have existing RNAV and ground-based IAPs would maintain at least one RNAV and one ground-based IAP. — All airports with an NDB IAP.  —All airports with a VOR/DME RNAV IAP, unless it is the only IAP at the airport. 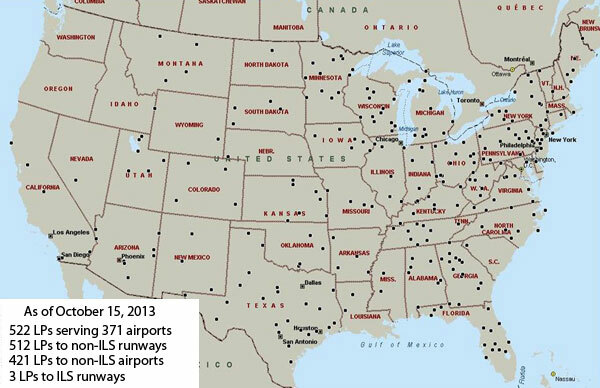 —All airports with two or more ground-based IAPs and an RNAV IAP. —All airports with multiple, redundant ground-based IAPs (e.g., three VOR procedures). —Prevailing runway alignment during adverse weather operations. —If an airport has a published ILS IAP and additional ground-based IAPs, cancel the procedure to the same runway as the ILS. —For airports with multiple VOR and NDB IAP’s, retain the IAP with the lowest minimums (if minimums are within 20 feet of each other retain the procedure that allows optimum use by all customers (i.e. VOR and VOR/DME retain VOR because there are no equipage limitations). —Airport with only RNAV/RNPs IAPs published. —Airport with only one ground-based procedure. —Airports will not be considered if cancellation would result in removing all IAPs from the airport. PBN Procedures (RNAV or RNP).